Pensioners whose firms invest in the loans would be protected through the Financial Services Compensation Scheme (FSCS) which is funded through a levy on the industry meaning losses would be ultimately borne by all pension holders. Parliament probed insurance rules last year and one MP wants to reinvestigate. John Mann, MP for Bassetlaw and vice chair of the Treasury Committee, which investigated the market last year, told the BBC: "We need to hold a new hearing, a new session, to go into the issue." He added: "I think some financial institutions have pushed the boat out too far with this, and that creates a potential systemic risk." Parliament's report was seen as broadly supportive of the industry, focusing on competition and innovation. Borrowers over the age of 55, take out a percentage of the value of the house. They pay nothing; the money is paid back when the borrower dies or moves into care. Interest is added each year or month, and because of compound interest, the loans can grow in size very quickly. Borrowers are safe. The loans come with a guarantee that they won't have to pay more than the value of the house. Any difference is absorbed by the lender. But the loan can exceed the value of the house it is secured against, especially if borrowers live longer than expected or the value of the house drops, and that threatens some lenders. The Prudential Regulation Authority (PRA), which oversees the companies offering these loans, says it is considering whether to tighten the rules. But critics say it has been too slow. "It evokes the global financial crisis, but this is an insurance crisis," said Kevin Dowd, professor of finance and economics at Durham University and author of the report. "It's not on the scale of the financial crisis, but it's bad enough." If new rules don't emerge, house prices continue to rise and there are no surprises for insurers when it comes to people living longer, equity release lenders may never realise these losses. Which is the problem, says Professor Dowd. A property price crash or a period of consistent negative growth would see equity release loans become a loss-maker for their providers. So, says Professor Dowd, equity release providers are gambling that house prices will continue to rise. Just Group, to which borrowers owe more than £6bn of these loans, said last month that a PRA draft "does contain proposals, which if implemented would result in a reduction in Just's regulatory capital position." This would mean a smaller financial cushion to absorb losses. Professor Dowd's calculations suggest its guarantees could cost it £2bn if accounted for correctly in his view. Just Group declined to comment on his estimate. It said: "At Just we set aside substantial prudent resources against UK residential property risks. We calculate these on a basis equivalent to a 28% fall in the property market and property prices never rising thereafter which is much stronger than the more severe economic scenarios that the Bank of England prescribes for the banking sector. […] Protecting the guarantees we have made to our policyholders is, and has always been, of paramount importance to Just." It declined to comment on the size or nature of these resources, or how they might be affected by a change in the rules. 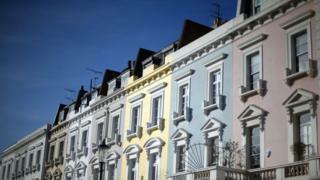 The PRA watchdog is considering whether to change the rules to stop companies assuming house prices will rise. Equity release mortgages are increasingly popular as older homeowners seek to top up their retirement funds. In the three months to the end of June, homeowners aged 55 and above borrowed a record £971m through equity release, according to the Equity Release Council. They are in their early 60s and borrowed about 30% of the value of their home to finance renovations and help fund their retirement. Their loan was £112,000, at a rate of 6.78%. It will take just over 10 years for that amount to double. But they are sitting pretty. And that's because of the no negative equity guarantee, borne by lenders. Sharing Professor Dowd's concerns is Dean Buckner, a former senior technical specialist at the PRA who retired in May. He said progress at his former employer in fixing these loans had been slow. Part of that may be the nature of the regulator and the many roles it must fulfil. "The regulator is there both to protect firms and to protect the general public," he said. "The Bank of England has part of its mission statement to protect the good of the people or something like that. I think it's a horrible failure of regulation and I'm very sorry about that." The PRA said in a statement: "Following a review announced in 2015, more robust expectations of firms were published in 2016 and confirmed in 2017. Clearer and more precise tools to determine whether firms are meeting these prudent expectations have been out for public consultation since July 2018. "They benefit from experience of Solvency II in practice and the collective expertise within the PRA, in which a plurality of views is actively encouraged when determining policy".